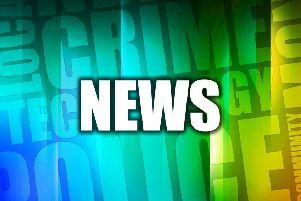 James Gadd, 34, of Pilham Court, Gainsborough; in possession of cannabis. Fined £80, £30 victim surcharge, £45 costs and cannabis forfeited and destroyed. Andrew Dunn, 67, of Highfield Terrace, Glentham; driving without due care and attention. Fined £220, £30 victim surcharge, £85 costs and licence endorsed with four points. Nasib Pierson, 65, of High Street, Scampton; driving without care and attention. Fined £73, £30 victim surcharge, £85 costs and licence endorsed with four points. Jason Parish, 26, of High Street, Gainsborough; driving without a licence. Fined £220, £30 victim surcharge, £85 costs and licence endorsed with three points. Tony Palmer, 42, of Thesiger Street, Lincoln; speeding in excess of 70 miles per hour. Fined £80, £30 victim surcharge, £85 costs and licence endorsed with four points. Laura Burkaveci, 21, of Westwick Gardens, Lincoln; driving without an insurance policy or a licence. Fined a total of £710, £66 victim surcharge, £85 costs and licence endorsed with six points. Georgica Cocoras, 27, of Horton Street, Lincoln; driving withuot an insurance policy. Fined £660, £66 victim surcharge, £85 costs and licence endorsed with six points. Simon Bluff, 48, of Sparken Hill, Worksop; failed to give information relating to the identification of the driver of a vehicle who was alleged to have been guilty of an offence. Fined £660, £66 victim surcharge, £85 costs and licence endorsed with six points. Mark Turner, 33,of Tooley Street, Gainsborough; breached a non-molestation order. Community order made and pay £85 victim surcharge.